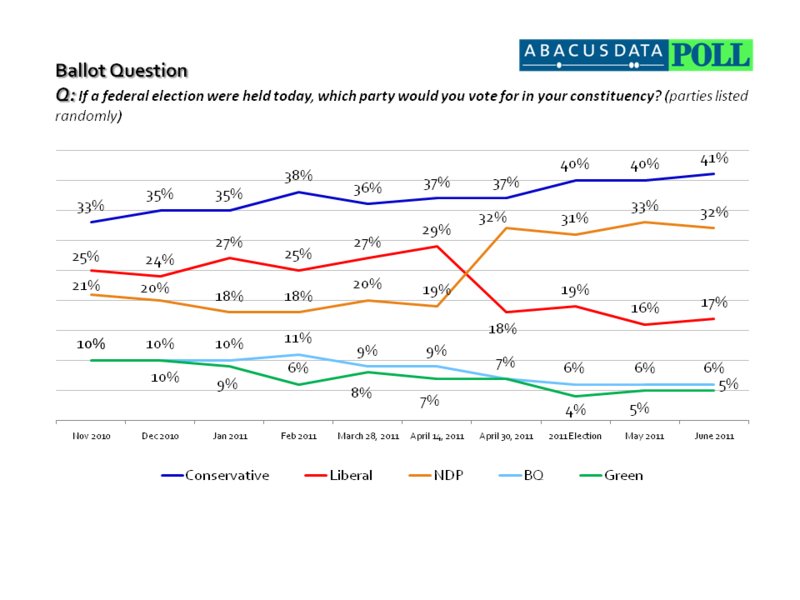 A new national poll from Abacus Data finds that federal vote intentions among decided voters has not changed much at since its last survey in May. All change is within the margin of error with the Conservatives at 41% (+1), the NDP at 32% (-1), and the Liberal Party at 17% (+1). In Quebec, the NDP continues their dominance of the province with 41% of decided voters in the province preferring the Official opposition. One in four decided voters (25%) would vote BQ followed by 11% for the Conservatives. The Liberal Party is down to what could be considered an historic low in Quebec at 9%.